Are you tuning in? Don't miss part 1 of our 5-part series on HOUSE CALLS. Remember when milk was delivered to your home and doctors made house calls? Well, we have come full circle. The milkman has returned and so has home health. The future is here, and home health is knocking on our doors. In part 1 of our series, we will be discussing various home health services. 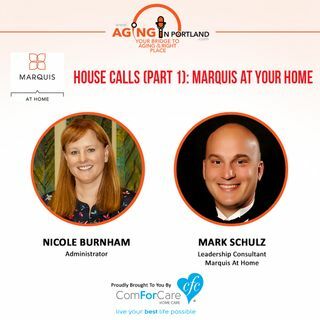 Tune in and see how Marquis At Home is keeping you independent in your own home. Our guests are Mark Schulz and Nicole ... See More Burnham.